Under James Levine’s galvanizing leadership, this all-star cast realizes all the gripping emotion and drama of Strauss’s masterpiece. 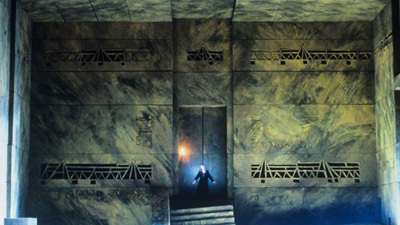 Hildegard Behrens is searing in the title role, as the daughter obsessed with avenging the murder of her father, King Agamemnon. 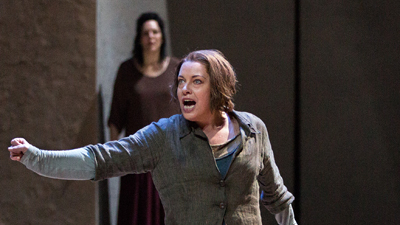 A sumptuous-voiced Deborah Voigt is her sister Chrysothemis, who longs only for a normal life as a mother and wife. It is their mother, Klytämnestra, (powerfully portrayed by Brigitte Fassbaender) and her husband Aegisth (James King) who must atone for the murder with their own lives—delivered by Oreste (Donald McIntyre), Agamemnon’s exiled son.